After his relentless production regime in 2018 saw him delivering moments such as ‘Timeless’, ‘Climb’, ‘The Gate’ (DT8 Project) and ‘8 Bit Boy’, ‘Memento’ (Jurgen Vries) and many others, Darren Tate shows no sign of stopping in 2019 either. Darren’s last single ‘Timeless’ was as you’d expect, a huge run away success picking up major support across the board and it certainly struck a chord with fans around the globe too. 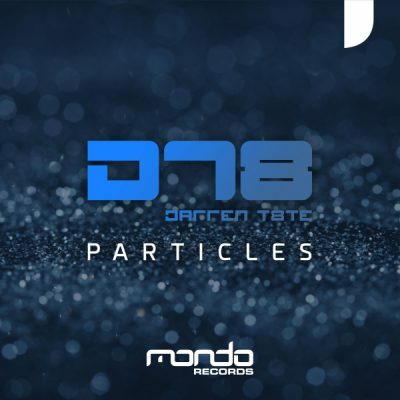 Darren’s new offering comes in the form of ‘Particles’ and its a lush, soothing journey through sumptuous pads, lush leads and of course Darren delivers his much loved classical approach which he does with all his tracks. Set to be yet another Tate masterpiece in the making, ‘Particles’ has all the right ingredients to go down as another classic masterpiece from Darren Tate.